E-Maps allows you to search for a location on the map. The map will automatically zoom to the location found. 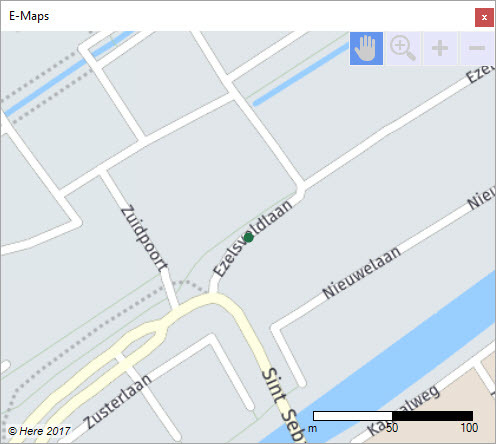 The properties of the dot that appears on the map, can be customized in the layers menu.